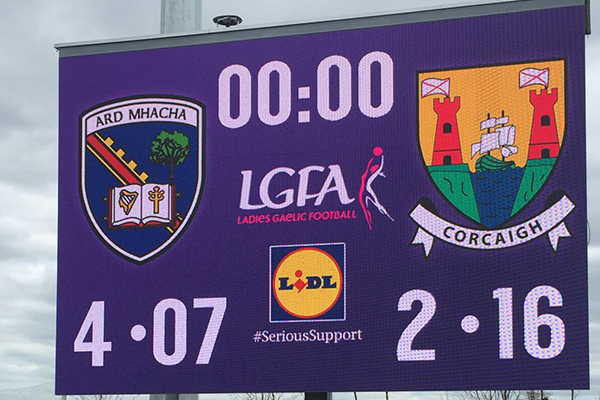 Big LED Screen Hire for Stadium Scoreboard Hire. 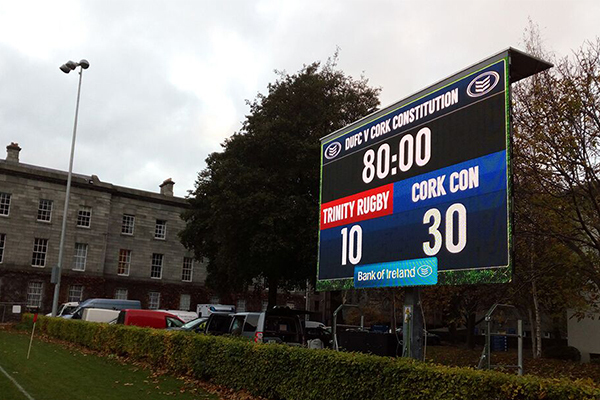 Trailer mounted LED screen available to hire for sporting events. 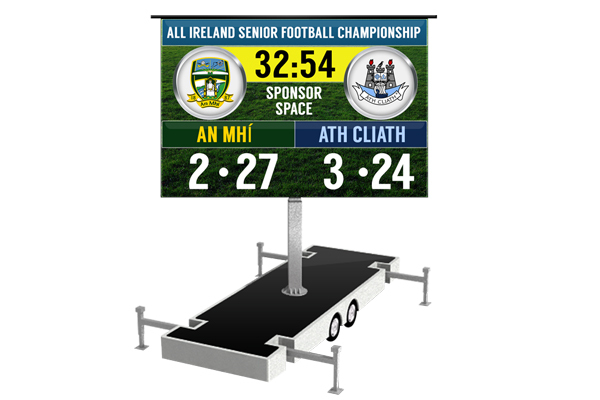 Our Big Screen can display live camera feeds, sponsor advertisements, live scores & game time. 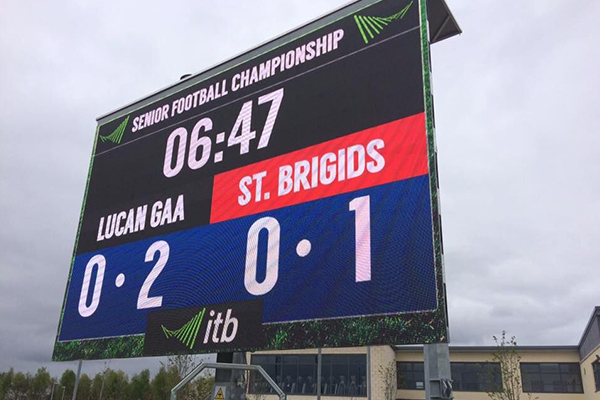 Our Stadium Scoreboard hire includes custom graphics during match (substitutions, goal graphic etc.) 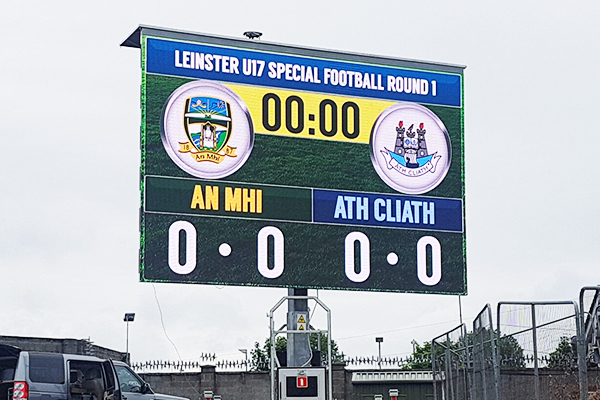 Or if you only require just a scoreboard, Timing Ireland can design custom full screen scoreboard to be used at your game.